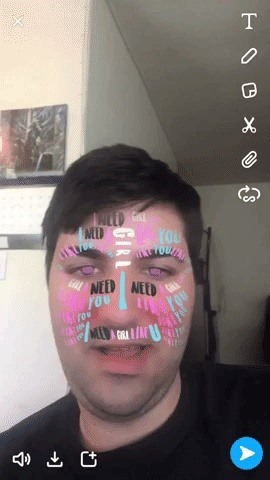 As summer is upon us, new musical Snapchat lenses are as well. This week has entries from Maroon 5, Simon and Garfunkel, and Snow Tha Product with entertaining visuals to match. As kids start to leave school for the summer, expect the lens scene to be kicked up a notch with anticipation. If you've never seen a custom lens before, just know that these aren't lenses you come across by chance. 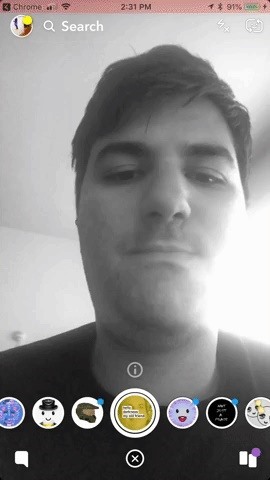 Even this lens created by Maroon 5 won't be sent directly to your phone for nothing. 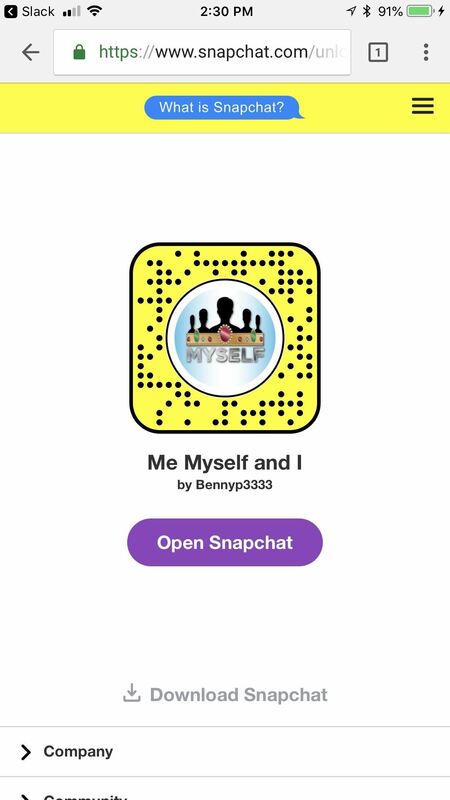 To get it them, you need to either scan a Snapcode or tap a link. And if any of them get you jazzed up, make sure to send them to all your friends. Everything here is technically a lens because it's made in Lens Studio, but some really act more like filters. While that doesn't make them better or worse, it just makes them different. I'll be sure to make the distinction when a lens isn't quite a lens, though. 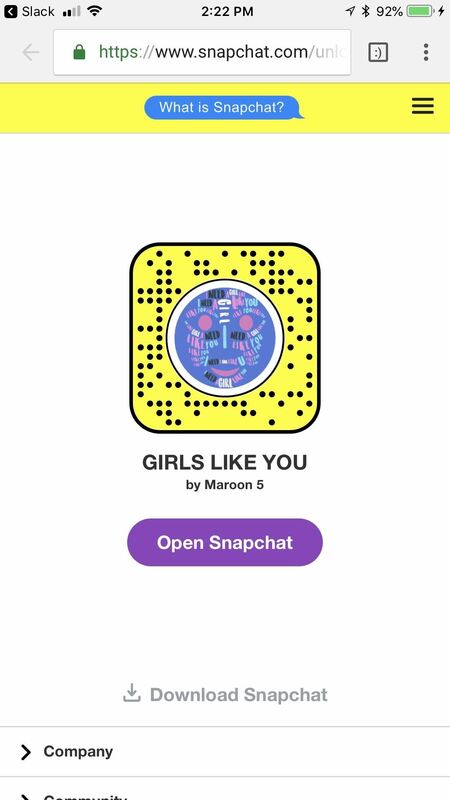 Maroon 5 put out a Snapchat lens for their single "Girls Like You," smattering some of the lyrics of the song all over your face while the song plays in the background. Adam Levine isn't any stranger to Snapchat — the music video for "Wait" was shot entirely on Snapchat. 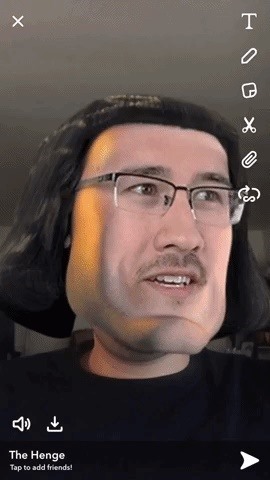 Even if you're not familiar with YouTuber Markiplier, you still may not know about Farquadiplier — an amalgam of him and Lord Farquaad from Shrek. 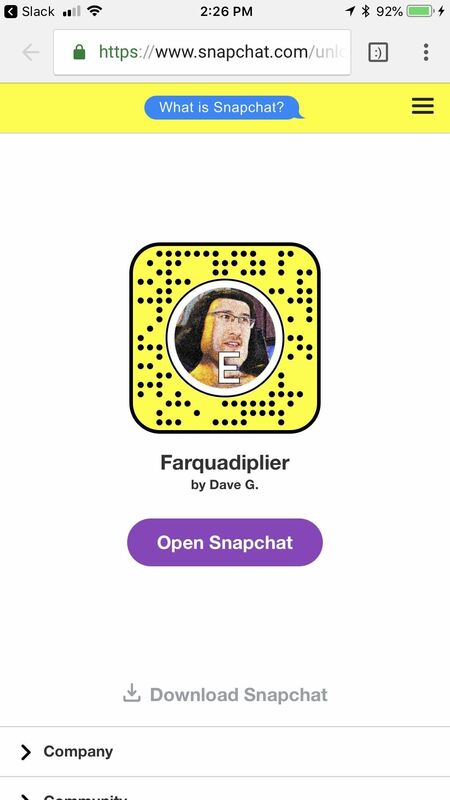 You also may notice that this lens by Dave G. superimposes an "E" (when you tap the screen) onto the Farquadiplier that goes on your face. 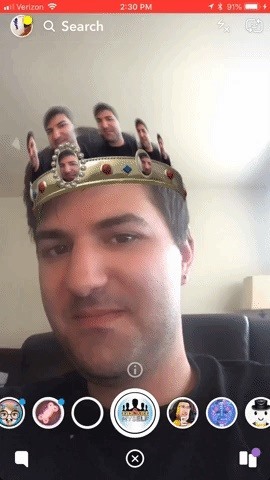 E.
Bennyp3333 created a lens for the song "Myself" by Snow Tha Product that puts a crown on your head, with jewels that are your face. Honestly, I hope this type of mirroring becomes common practice. Alright, just one last Arrested Development lens. The fifth season just came out, and I'm hyped. This filter-esque lens by Brendan is a throwback to the fourth season, where there were frequent close-ups scored over Simon and Garfunkel's "The Sound of Silence." I have a confession: I love Waluigi. 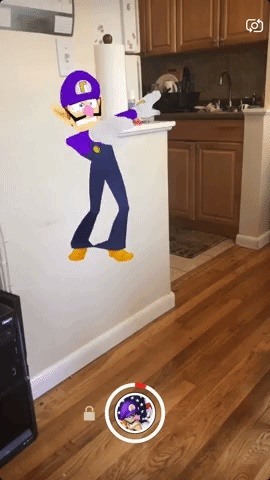 I love his purple outfit, I love his upside down "L" hat, and I even love the way he dances around after a Mario Party win. 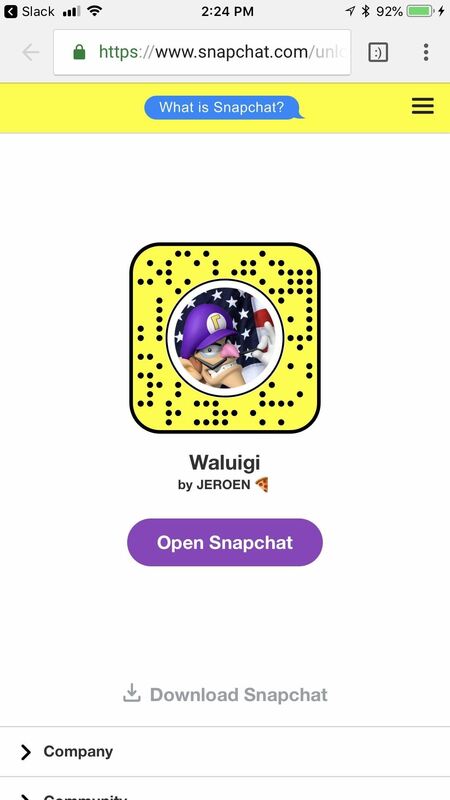 Now, thanks to JEROEN, I can take Waluigi anywhere this weekend. All that's left is getting him in the new Smash Bros. game. Hopefully you have a nice quiet weekend that you can exploit with these loud lenses. Please do me a favor and record videos of Luigi wherever you go. He needs to live a full life.